Children in Distress (CID) is a small charity registered in the UK with both the Charity Commission for England & Wales and the Office of the Scottish Charity Registrar. The mission of CID is to offer love and care to children living with HIV AIDS or incurable and terminal illness. Simply stated, the goal is To cure, sometimes; To help, often; To comfort, always. Since 1990 the volunteers and staff of Children in Distress have been bringing love and care to the suffering, abandoned and forgotten children of Eastern Europe. Today CID UK and its partner programmes care directly for over 2600 terminally and incurably ill infants, children and young people. Through, education, training, social care and outreach we change the lives of a further 8000 children and their families and through advocacy, particularly for those with living with Autistic Spectrum Disorders, speak out and demonstrate support for a further 25.000 children and young adults offering them the chance of a better tomorrow, today. 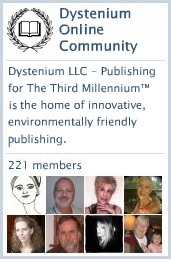 This entry was posted in DYSTENIUM, ning. Bookmark the permalink.